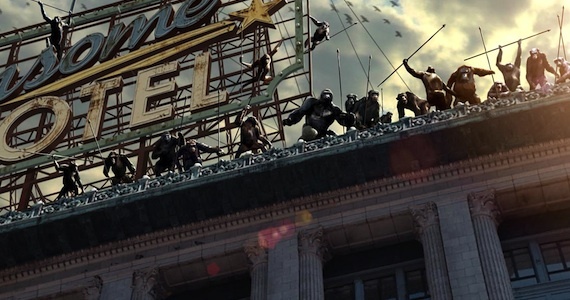 Rise of the Planet of the Apes opened this past weekend with relatively positive reviews from many critics and sources, successfully nabbing a “Fresh” 81% rating from Rotten Tomatoes and a solid 8.0 from IMDb. It is clear that this film was a highly anticipated prequel to the famous Planet of the Apes franchise, and for the few who are not familiar with the franchise, the Rise was a curious introduction to the hairy apocalyptic universe. However, that is all the acclamation this film deserves. 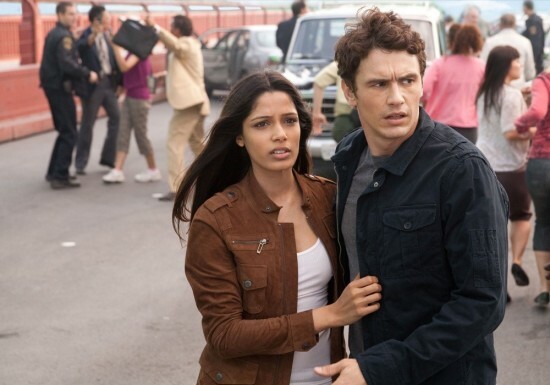 The Rise does contain some well known talent, such as James Franco who plays the emotionally driven scientist, Will, and John Lithgow, who plays Will’s father, Charles, who suffers from Alzheimer’s disease. Other familiar talents include Freida Pinto, best known for her role in Slumdog Millionaire, Tom Felton who played Draco Malfoy in the Harry Potter film series, and Andy Serkis who is popular for his role as the creature Gollum in The Lord of the Rings film trilogy. 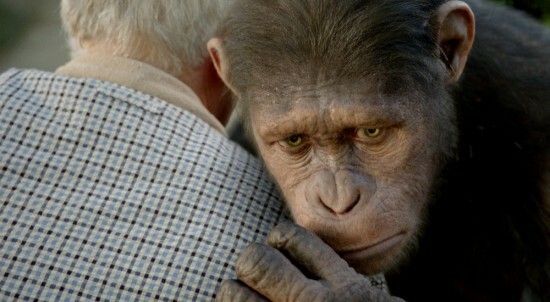 This mixture of cast mates, including Brian Cox and Tom Felton, does achieve some fine moments on film, and the digital manipulation of Andy Serkis to create the ape, Caesar, is quite remarkable, but other than that, the film has little to offer. Due to the fact that the Rise is a prequel, we know what ultimately happens before we even take our seats in the theater, so we are just waiting to see how it happens, similarly to how Anakin Skywalker becomes Darth Vader in Star Wars: Episode III. Therefore, it is the journey that is supposed to fully entertain, not the outcome. But in this case, the Rise does not live up to its epic outcome. The desperate Cal grad (Go Bears!…) attempts to develop a cure for Alzheimer’s disease to save his father, while his boss Steven Jacobs, played by David Oyelowo, takes advantage of the potentially, very profitable drug, which leads to the demise of humans and the rise of the apes. In addition, a lot of the screen time is taken up by the apes’ interactions with each other, which is necessary for the plot, but very boring to watch. If I wanted to see CGI on CGI action I would have bought a ticket to see The Smurfs instead. Despite my critiques on the predictability of the plot and the tiresome grunting of the apes, the Rise did well in the box office results coming in first for the weekend and grossing $78 million worldwide. Due to this relative success, there are rumors of a possible (and unnecessary) sequel. A movie depicting the mass extinction of the human race due to a deadly virus is hardly a film I plan to waste any of my time on. Plus, it looks like they have already made this film. It’s called Contagion. Go see it on September 9th if you really have nothing else to do. Hi everyone, I am a guest poster for Wick-Quoting, reviewing movies that Mr. Wicked hasn’t yet seen (or doesn’t want to see)! For the past few years, movie theaters have been flooded with computer graphic animated films that often come with a 3-D option. When was the last time any of you saw a traditional 2-D animated film in theaters? The only high profile example I can think of in the States in recent years is Disney’s The Princess and the Frog. Anyway, while the medium of computer animation has provided us with some great films – such as, of course, any Pixar film – the rest of these movies out there, with their similar witty banter, cool graphics, and feel good morals, all feel like part of one big series. A couple examples of the kind of films I’m talking about here include Monsters vs. Aliens, Alpha and Omega, Legend of the Guardians, and so on and so on. Of course, some of these movies are pretty good, but it doesn’t change the fact that their basic formula includes the requisite wittiness, graphics, and morals. Megamind is no different. The film is about the titular antihero Megamind’s endless battle to defeat his archnemesis and hero of Metro City, Metro Man. But when Megamind finally accomplishes his lifelong goal, he suddenly faces the realization that maybe he was aiming for the wrong thing all along. Oh, and just like a certain other anti-villain film that came out this year, a minion is featured! The above is spoiler free Megamind in a nutshell. Sounds a bit like the summary of some cheesy “how to change your life” book doesn’t it? 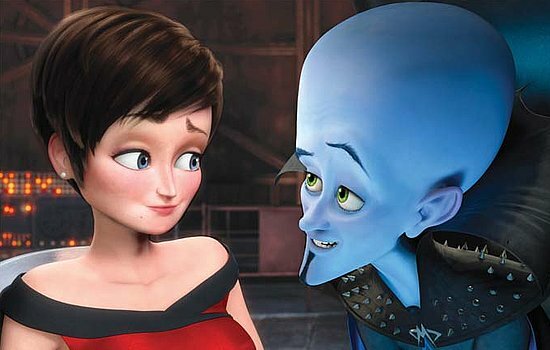 A notable aspect of Megamind is that it features a surprisingly robust lineup of voice actors from Tina Fey to Jonah Hill and Brad Pitt. (Ben Stiller is in the mix too!) However, honestly the usage of Brad Pitt and Tina Fey’s voices seems like a bit of a waste. Both of them are talented individuals, but their talents aren’t really suited to voice acting since they sound pretty generic. Whenever you hear Jonah Hill, on the other hand, you know unmistakeably that it’s him, and I must say I think his voice matches his character pretty well. Overall, just like Brad Pitt’s voice acting in this film, I’d say that the best word to describe Megamind is generic. Sure there are cool graphics, witty lines, and a feel good plot with a few twists and turns. For a mindless dose of decent entertainment, I’d say Megamind is just fine. 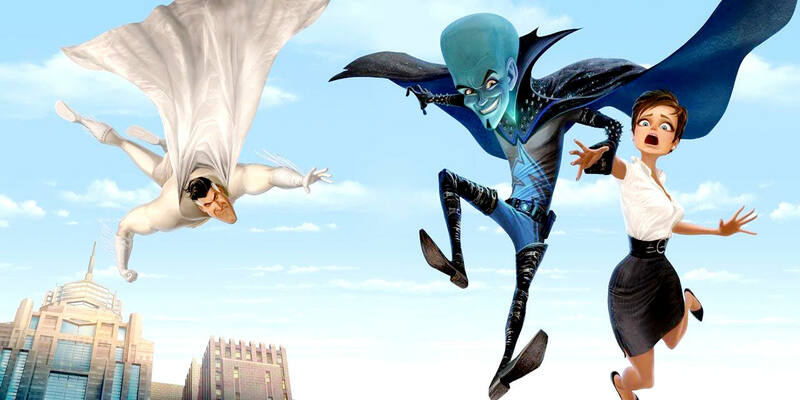 But overall in this big overarching series created by the many other computer graphic animated movies out there, Megamind doesn’t particularly stand out. 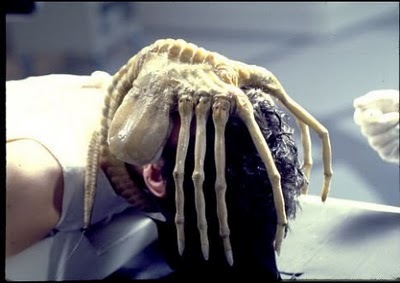 For a horror movie, Alien has done pretty well for itself. Not only has it made a considerable amount of profit, the film has influenced many others like it (such as Alien Vs. Predator). 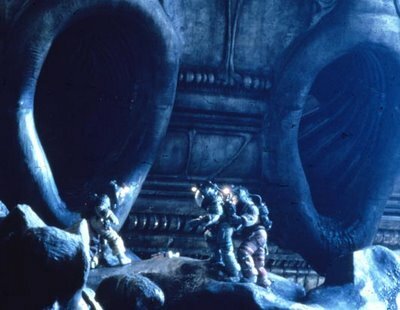 Directed by Ridley Scott, Alien follows much of the standard procedure of horror films: a monster is set loose, people are killed one by one, and the main female character survives at the end. Despite the obvious story and the predictability of “who dies next” the movie is well beyond its time of 1979, with images that are effective without CGI. The one aspect that Alien exceeds in is the convincing settings which the story takes place. The space crew lands on unknown territory due to an S.O.S signal. The area which the crew explores is greatly convincing, as if an ancient civilization of aliens once thrived there before. Not only is the landscape cleverly done, but the inside of the ship is well designed also. The lights to the main areas of the ship give a futuristic view, while the huge space of the ship allows for infinite hiding places for the monster. Speaking of the monster, Alien follows the standard procedure of sci-fi/horror films of not showing the monster at great lengths or detail (except for the finale at the end). Not showing the monster clearly gives it a more threatening appearance of ambiguity. A successful monster film can, however, display the monster in long sequences and still succeed, such as the Korean film, The Host. Making the monster elusive to the camera only makes it easier to make the movie scary. The main problem with the movie is that it starts off very slow, allowing for the audience to get, perhaps, too settled in and comfortable in their seats. This, however, does allow for further character development and a greater surprise once the monster makes its first “deput.” Overall, the film may be considered old, but it can still entertain present day audiences. Let’s face it, the Harry Potter movies cannot compare with the books (especially if you’ve got a really good imagination). The movies have many faults, including a few bad actors, awkward scenes, and disappointing action. Also, who the hell decided for Voldemort to look like an idiot? When I was a kid reading the books, I imaged him to look so much cooler. One of the biggest problems for me is Daniel Radcliffe. He looks like Harry Potter, but he’s not that good at expressing it. Even so, Harry Potter and the Deathly Hallows: Part 1 is a must see movie. You have to be one sad person to not have watched any of the movies so far. While the movie is awkward in a LOT of areas, it still delivers the expected quality which fans desire. Harry Potter has it all – romance, action, adventure, serious plot twists, likable characters, & a huge, well-known cast. The movie starts off well with a griping chase scene that starts off humorous, plays out serious, and ends bittersweet. While the film does change some facts from the book, they are not huge. 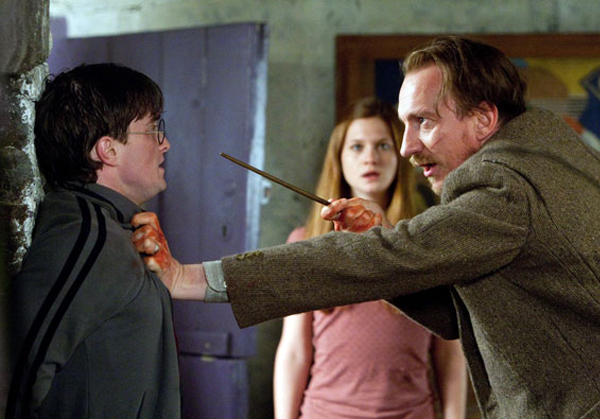 For example, the Death Eaters find out who the real Harry is by Hedwig attacking. In the book, the real Harry is revealed by Harry using his signature spell. While these changes may ruin the “magical” feeling of the movie, they are necessary to appeal to the broader audience. It is impossible for the movie to build upon and follow every single detail from the book. Movies that are based on books suffer from what I call, the Harry Potter Syndrome. This is when the movies are unable to deliver the story correctly because of the limitation due to time. The past Harry Potter films definitely had the Harry Potter Syndrome; however, this movie does not. There are two main reasons for this: 1) the main characters are not going to Hogwarts, meaning no short clips of them in their classes. The movie only has to follow them on their journey to destroy the Horcruxes. 2) The last book is, as you all know, being shown in two parts. This was a very wise decision, because it allows for better quality movies that don’t seem rushed, and it will also make so much more money. Although the movie has more time to deliver a satisfying story, I feel as though the movie makers wasted a lot of screen time on unnecessary scenes that work against the series as a whole. 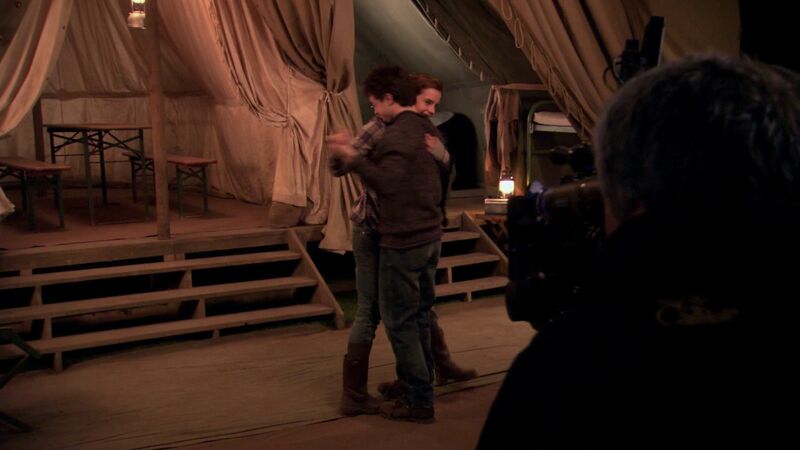 One of these scenes is when Harry gets Hermione to dance with him for like 5 whole freaking minutes. Not only is the scene super duper awkward (like this sentence), there is really no point to it. It almost seems like Harry wants to get some afterward. I did learn, however, in addition to his poor acting skills that Daniel Radcliffe also cannot dance. 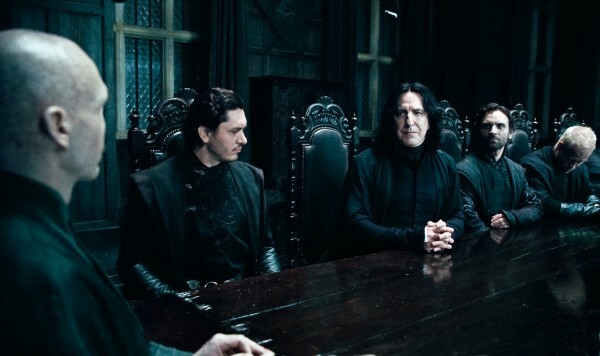 Despite the awkward scenes (they should just be expected being a Harry Potter movie) the film made over 600 million dollars already and had a much bigger opening compared to the previous film, Harry Potter and the Half-Blood Price. The film has nice landscape shots (trying to jack LOTR’s style) and nice CGI. Do I think you should watch it? Let this number be the judge of that.